EVCMOBI to EVCMOBI calling , texting , video or chat is always FREE. 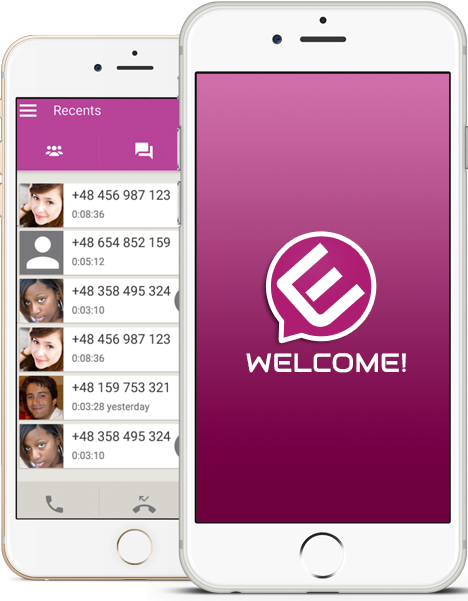 EVCMOBI-out allows you reach to anyone and any number world wide at the lowest rates. Simply add funds from your mobile and select one of our attractive plans or pay as you go. With EVCMOBI you always save money. Did we mention? Try EVCMOBI out for FREE. We are giving away free credit for your EVCMOBI out with every download, and every new user. So go ahead , test our quality and service without any risk.